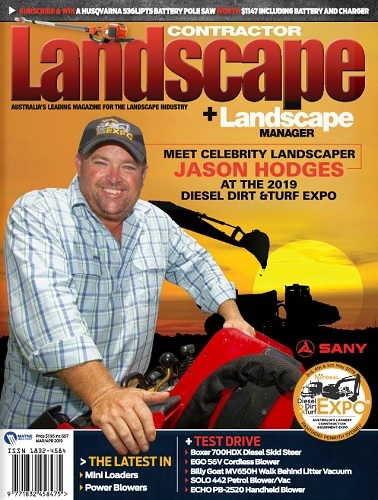 German-oriented outdoor power equipment brand SOLO is new to the Masport product range providing a wide range of landscape maintenance products to the Australian market including the petrol-powered 442 Blower/Vac. The 2-stroke 27.6cc engine has a chrome bore for longevity and produces 0.8kW, which provides ample power to operate in both blowing and vacuum setups. The engine is easy to start with minimal effort required to pull the starter cord and once the engine warmed up, it fired up on the first go every time. 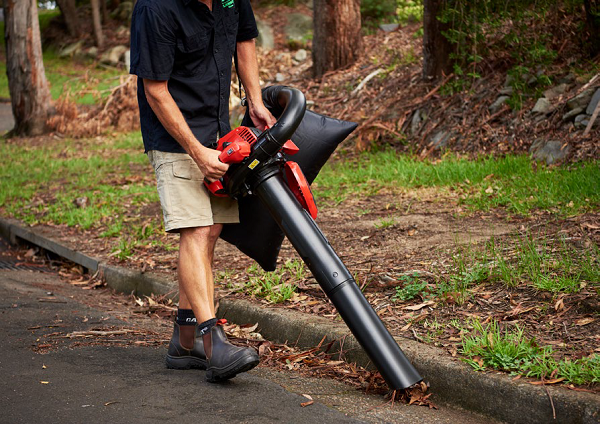 Two blower tubes are standard for this unit (round nozzle and flat nozzle) and a complete vacuum setup with large 55-litre capacity collection bag. 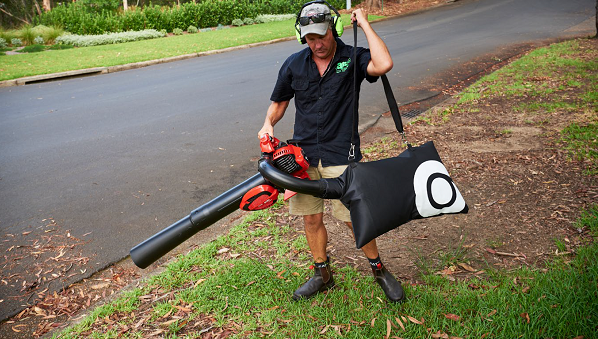 The collection bag is easy to install and remove with a Velcro strap securing the bag to the discharge chute and a large zipper creating a wide opening for emptying collected debris with ease. The vacuumed material is pulverised down to 10 times less than its original volume ensuring long intervals between bag emptying. 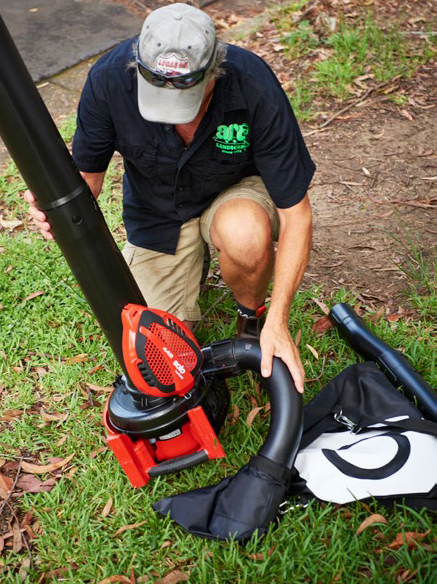 Changing from blower to vacuum setup takes less than one minute with only a screwdriver required. No tools are required to access the single stage foam air cleaner for routine maintenance. When I operated the SOLO 442 as a blower I found it comfortable while producing minimal vibrations. The ability to lock the throttle on full speed is a great advantage for larger areas, although variable speed throttle lock would be nice. The lower and upper handles have rubber-coated grips and they are both isolated from the main machine with a dampening system ensuring comfort for the operator. The fuel tank filler point is unobstructed, although the opening diameter is rather small so you need to use a funnel when refuelling. There are fuel level markings on the petrol tank so the operator can determine levels at a glance. The unit weighs in at a respectable 4.8kg as a blower and only a little heavier with the vacuum setup at 5.8kg. 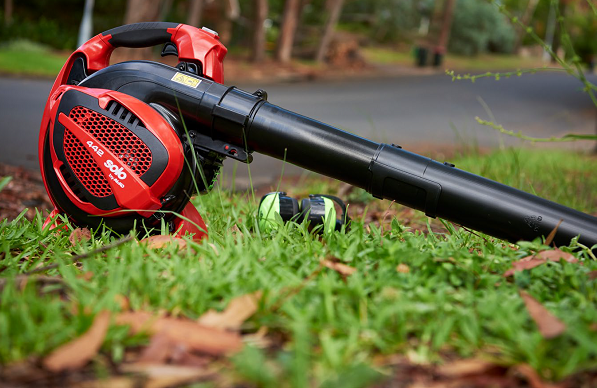 Overall the SOLO 442 Petrol Blower/Vac proved capable for the domestic environment with potential light contractor use. It blew debris away at a rate equivalent to its rivals and easily sucked up accumulated debris with the vacuum set-up. A four-year domestic warranty provides peace of mind for the purchaser.